The JRPG genre rose to prominence almost entirely off the backs of two notable game development companies; Squaresoft and Enix. Responsible for bringing us the Final Fantasy and Dragon Quest series respectively, a huge amount of the most notable RPGs (and a number of less notable or unlocalized games besides) were created or published by these two developers. Prior to the release of the PlayStation, you would be hard pressed to find a JRPG released in English-speaking territories that didn’t brandish either the Squaresoft or Enix logos. There are exceptions of course, notably on Sega systems -- I’d be loathe to ignore Phantasy Star or the Shining series -- but many would be unlikely to name those at first if asked for a JRPG series title. More companies would start to join in the JRPG market throughout the PlayStation era, such as Konami or Monolith Soft, and the market quickly saw a boom of new titles that would continue well into the late PS2 era. But all throughout, many walked in the shadow of these two giants, or owed their continued existence to Squaresoft publishing for them. Every Suikoden or Xenosaga that was released would still never be held to the general pedestal that games such as Final Fantasy VII or Chrono Trigger stood upon. Then, in 2003, the unthinkable happened: Squaresoft and Enix joined forces, merging into Square Enix and remaining as such to the present day. One would think such a monumental occasion would change the landscape of JRPGs forever, and Square Enix would catapult themselves even higher to the top echelons of developers unopposed. Did that happen? Nope. Not even close. If anything, the vast majority of offerings in the JRPG genre since then by the company have been... well, questionable. In fact, I’d argue that since the merger, there have been almost zero titles from them to match their respective high points while separate. There was even a stretch of time where the vast majority of games from Square Enix weren’t JRPGs, almost as if they’d abandoned the genre entirely. Does that mean that the JRPG has since died out, then? Nope. Not even close. 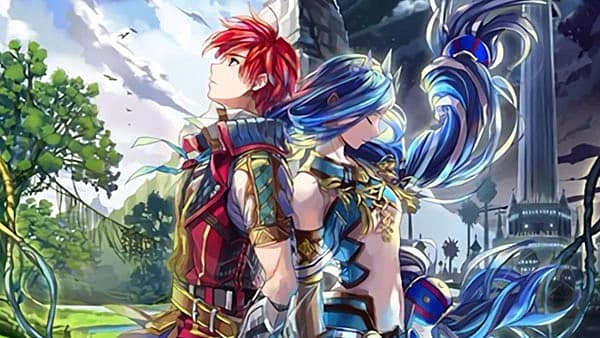 Despite some inklings that JRPGs are lacking in innovation or have declined in quality, the genre continues to see numerous excellent titles released from a range of companies. Innovations and developments continue to be made, yet the core of the genre remains present, and many classic elements are still revisited in new and interesting ways. 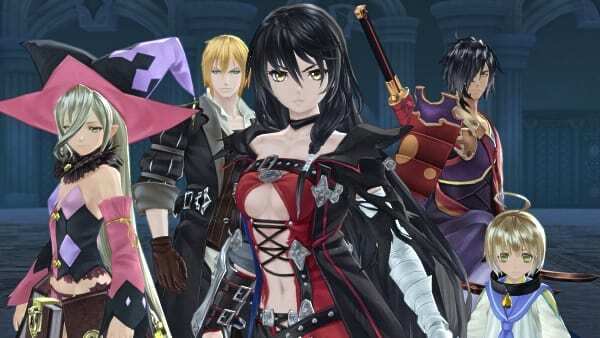 Thanks to the increased size of the gaming market in recent generations, more and more games of all genres are being made by companies new and old -- and JRPGs are no exception. No, dear readers, it is not the JRPG that has fallen into disarray -- it is merely Square Enix’s offerings to the genre that are in serious need of improvement. Let’s dive deeper. Since Final Fantasy and Dragon Quest are the classic series most are acquainted with, we’ll start with those. For those familiar with the respective series, I offer a question: Which of the numbered games in those series was your favorite? Were I to survey or inquire the answers to that question, I think you’ll find that the vast majority of people offering favorite Final Fantasy titles will say somewhere between VI and IX, with occasional outliers between IV and X. Dragon Quest is most likely to be a toss up between V and VIII, though any between III and VIII could also be selected. Does this sound about right? How many of these particular titles were released prior to the merger of Squaresoft and Enix, though? Excluding Dragon Quest VIII, all of them. 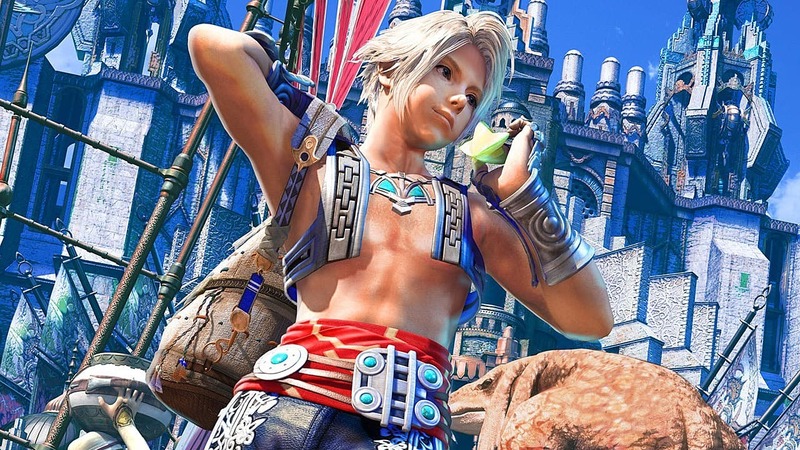 The first numbered non-MMORPG Final Fantasy game to be released under the merged banner was XII. While reasonably well received, it had a lot of mixed opinions on it, and it’s rare to find people who would hands-down consider it their favorite. 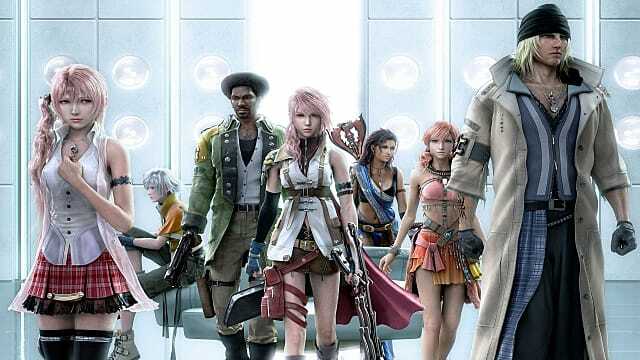 Since then, we had XIII and its sequels, and while there are occasional defenders or proponents of parts of those games, the overall opinion is that they were a massive misstep. Not convinced? How about XIV, also an MMO? Well, on release, the game was universally panned and responses were massively negative, so much so that Square Enix had to bring down the game and rebuild it entirely from the ground up with a new team. A Realm Reborn turned out to be quite good, but we cannot ignore that initial disaster; Square Enix is quite possibly the only company in gaming history to salvage a game like that, and most others would simply consider the expenditure too great and cut their investment right there. Last chance, then... FFXV? Well... 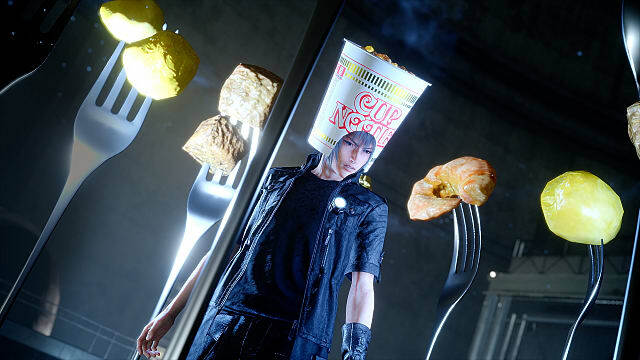 I could write many, many things about FFXV, and there’d be plenty of negatives in there to talk about. There’s decent gameplay, but the story is an utter mess and the open world is graphically pretty but largely devoid of things to do. It’s a flawed and unfinished game, regardless of whatever positives you might take away from it. Now for Dragon Quest, almost all of which were developed prior to the merger. The first to be released under the Square Enix banner was Dragon Quest VIII, which would be the best offering but for one catch: it was actually developed by Level 5, rather than a studio within Square Enix. Lest we think that it’s just their flagship RPG series effected, let’s try another example: Star Ocean, created by Tri-Ace and Enix before transferring to Square Enix. With five major games in the series, it’s widely regarded that the first three are considerably stronger than the latest offerings. Guess what? 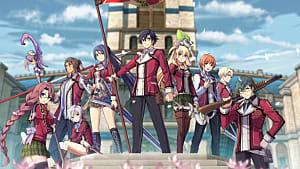 Star Ocean 3: Till the End of Time was released shortly before the merger. 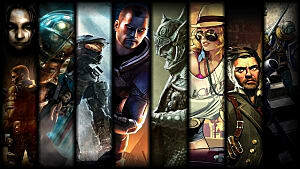 Compare most of the RPG series released by Square Enix and similar trends will be evident. 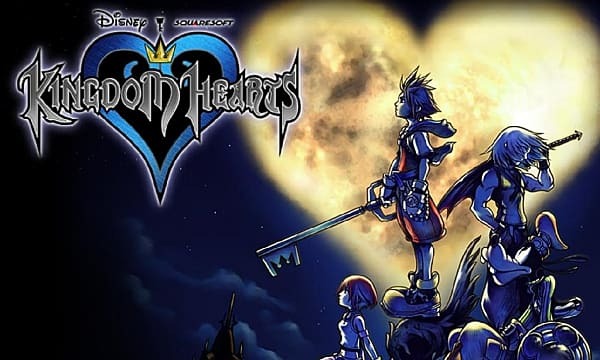 What about Kingdom Hearts, I hear some people asking? That is something I will concede as breaking the trend, but only in part. The first game was released before the merger, but Kingdom Hearts 2 was some time after, and it was received quite strongly. But as a whole, I would say that the series is still hardly an exception to Square Enix’s declining offerings to the JRPG genre. While it does have good games, it’s also had some pretty weak ones as well. In addition, it seems like the company is doing everything in their power to hold off releasing Kingdom Hearts 3, with countless remasters adding tiny little details and padding out anything they can. So what happened? Well, if anything, the merger saw Square Enix become more of a publisher than an in-house developer. 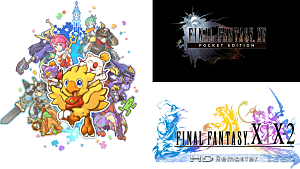 A massive number of games from a large number of companies worldwide are published under the Square Enix banner. This initially focused more on JRPGs, but has grown to include many varied genres and notable series, including Tomb Raider, Just Cause and Deus Ex. If there was a decline in the number and quality of JRPGs available, it would probably fall within the previous console generation. Many are quick to highlight the number of quality RPGs available for the PS2 -- and earlier consoles -- but you’d be reaching a little further to list an equivalent number of solid PS3 or Xbox 360 titles. But that’s not to say that they weren’t there; rather, they were to be found on handheld gaming systems. With the rising costs of quality game development, many smaller developers turned to the DS or PSP, as well as their successors, to develop their RPGs. Square Enix was no stranger to this trend as well. Two of their most successful JRPGs released since their merger -- The World Ends With You, and Bravely Default -- were released on handheld systems. 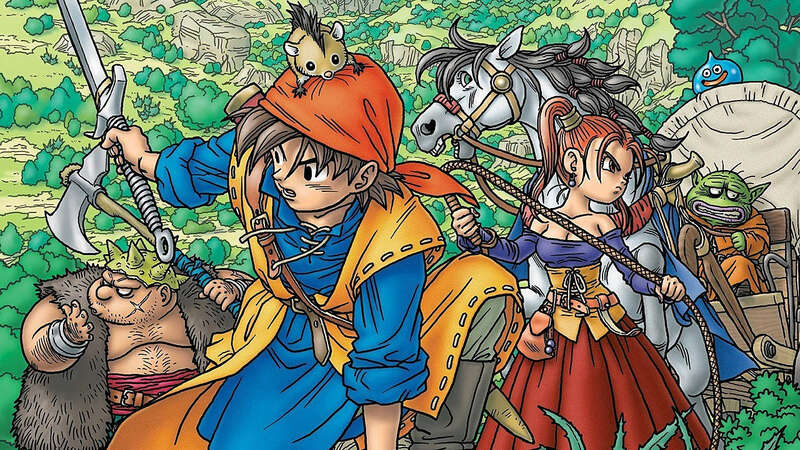 Dragon Quest made the switch to DS with the release of IX, and the upcoming DQXI is slated to arrive on 3DS and PS4. 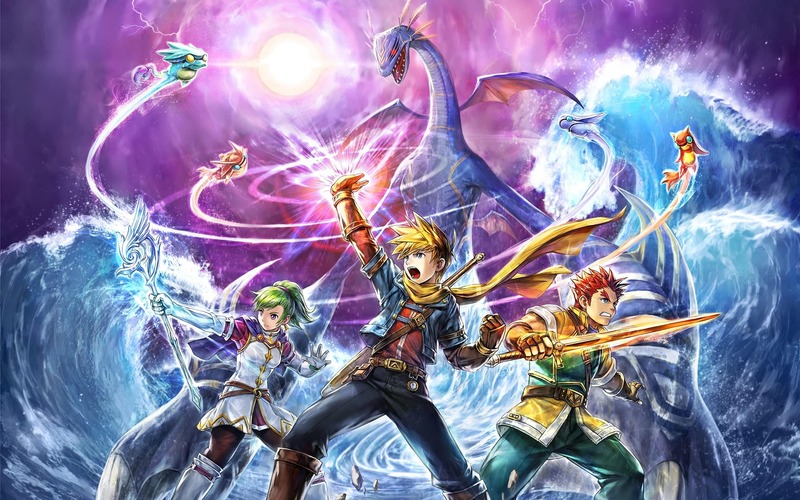 Those who considered there to be a dearth of quality JRPGs were probably focused more on home consoles, but the genre has been alive and well in a portable form throughout. Admittedly, many larger JRPG series fell dormant during this time period from other companies as well. While there was a spinoff Suikoden game on DS, no numbered title has been released since V on the PS2; the same can be said of Breath of Fire. Which leads into the next point: many JRPG series are actually seeing new titles and rebirth on smartphones. Unfortunately, many of these are little more than name drops in order to attract a quick dollar, even by notable companies -- anyone who says Breath of Fire VI is worthy of that number is, I’d argue, completely delusional. Failing that, they often are freemium Gachapon games with minimal gameplay and little more than a theme connected to the series in order to lure fans. Even Nintendo has started to fall into this trend; Fire Emblem Heroes fits this bill to a tee, though in its defence, it is of considerably higher quality and has stronger gameplay than many other alternatives. However, despite my cynicism and the existence of some blatant cash grabs, there are admittedly more and more JRPGs being developed for smartphones that are actually worthy of attention. Are they quality enough to compare to games on other systems? Your mileage will probably vary on that, but there are certainly some that are worthy of attention, such as the recently released Dandy Dungeon. Square Enix has been quick to jump onto this mobile bandwagon, too. The number of freemium titles they have is quite frankly excessive, but there are a whole slew of their titles available on smartphones that range from ports of classic Final Fantasy games to wholly original titles or remakes. They’re often extremely pricey compared to the wealth of cheap competitors on systems, but a handful of them are arguably quality enough to justify a purchase. The point is that the JRPG is (and has always been) alive and well on handhelds and mobile, even if not on home consoles. But it’s not as though the consoles have been bereft of quality titles, either. With all the money and attention that Square Enix receives, it’s understandable that their projects are the ones in the limelight -- that’s AAA gaming in a nutshell. They are effectively the JRPG developing and publishing equivalent of Electronic Arts or Activision Blizzard for first-person shooters. But a big budget and high profile isn’t necessary for making quality games, as the growing indie scene can rightfully attest to. It’s not uncommon for some great JRPGs to emerge on PC from relatively unheard of developers; Zeboyd Games, the makers of Cthulhu Saves the World, are currently close to release on Cosmic Star Heroine, which is a love letter to the classic Phantasy Star games. 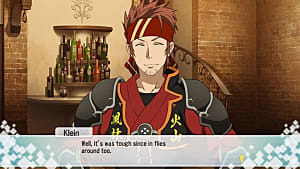 Failing that, there is a thriving scene of developers utilising RPG Maker or other engines to craft JRPGs by the droves, many of which are quite innovative or put interesting spins on classic concepts. Consider Undertale, or any of the games like it. It’s not just indie companies making JRPGs, either. 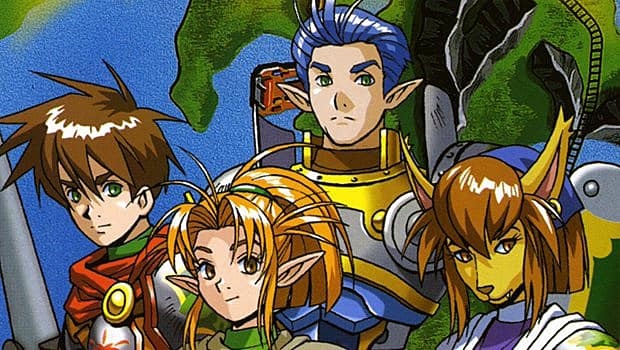 Square Enix may have the limelight, but perhaps you’ve heard of a series called The Legend of Heroes? 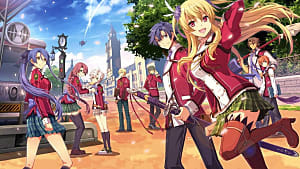 My love for Trails of Cold Steel is well documented, but Nihon Falcom has been producing quality RPGs of all kinds for as long as Squaresoft was. 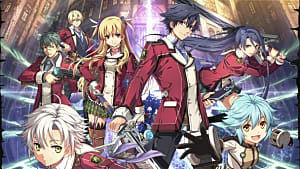 Thanks to the hard work of companies like XSEED, these series are finally starting to see more of a resurgence in the West or on home consoles. You can also look to the absolutely staggering number of games that are localised and published by Nippon Ichi to find a number of JRPGs that you might have otherwise overlooked. Seriously, there’s a lot, coming from a number of development companies such as Gust or Compile Heart. There are other high-profile JRPG developers that have been constantly working on their craft, too. Bandai Namco and their Tales franchise are usually the ones held up in comparison to Square Enix’s offerings, but I’d be remiss if I didn’t bring up the work of Atlus during all of this. 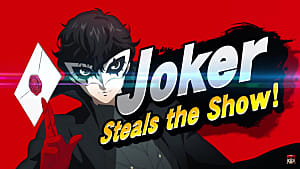 Anyone who stated that JRPGs were a dying breed needed only to look at the Persona and Shin Megami Tensei games to know that wasn’t the case. Even Mistwalker Studios, formed by ex-Squaresoft veteran Hironobu Sakaguchi -- the creator of Final Fantasy -- has been going strong. Lost Odyssey and The Last Story were both very good games, though due to their exclusivity to certain consoles their audience has regrettably been smaller than deserved. Sakaguchi-san is hardly the only developer to have left Square Enix and gone on to continue making great RPGs outside of their banner. The gaming landscape is only growing larger every day, with a broad library of titles available to explore across all sorts of platforms. Regardless of platform or where you look, however, the JRPG continues to thrive and expand. Whether nostalgia-laden throwbacks or cliched affairs to innovative twists on plots and mechanics, they’re there in force. But just like for other genres, sometimes you need to look past the AAA developers of Square Enix to see it. Think of it like the grand RPG tradition: sometimes you need to go off the beaten track and explore away from the main quest in order to find the truly valuable treasure. It’s the same in finding games to play. 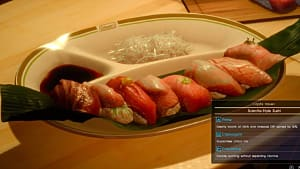 You might find something good to play amongst Square Enix’s offerings -- and there are some good titles from recent years, don’t get me wrong -- but the hidden gems can only be found by looking around, asking questions, and delving into the side quests of other developers in order to find something you truly love but rarely hear about. Give it a shot. Forget the Final Fantasy series. Instead, go play Ys! 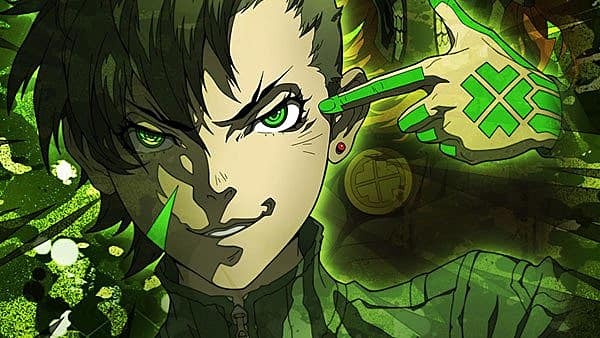 Swap Dragon Quest VIII out of your 3DS in favour of Shin Megami Tensei IV: Apocalypse! Forget I Am Setsuna and try Trillion! Live a little, explore, and expand your horizons. Who knows, you might surprise yourself with what you find. It’s not that unheard of for the main quest to be pretty bad in comparison to the side quests, anyway. 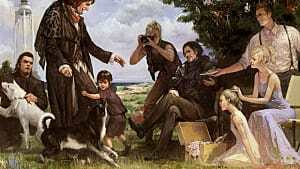 Right, Final Fantasy XV?